Don’t You Love Your Body? Do you suffer from body shame? Many women look in the mirror and see nothing but their flaws. They aren’t comfortable in their bodies, even with their partners in the privacy of their own bedrooms. They judge how they look way more harshly than anyone else. How likely is your body going to maintain its youth, vigor, wellness, and well-being if you abuse it with your thoughts and words? How well does a child flourish in such an environment? How healthy are your relationships when you do nothing but subject the other to constant criticism? Starving your body of nutrient rich-foods and undertaking minimal movement are just the symptoms of the mental and emotional treatment you are heaping on your body. How well are you going to treat something that you hate, loath, despise, or are ashamed of? As many teachers will tell you, the answer is to love your body. When you love your body, you want to take care of it. You appreciate it. And the positive, anabolic energy you provide it allows your body to rebuild, regenerate, and remain vital and alive. When you have experienced long-term body shame, however, trying to go immediately to loving your body feels like a big fat lie. It’s almost laughable. It feels so foreign; it’s just not a habit you can develop easily. Start by finding one thing about your body you can appreciate. Maybe it’s your tongue. You taste foods well. You are articulate and able to communicate with it. Your tongue never lets you down. After a few days of appreciating your tongue—even for just 1 minute a day—then find something else about your body to appreciate. Perhaps your hard-working hands. Your hands are going non-stop every day. From throwing off your covers in the morning to picking up your coffee cup, to holding your child—your hands are helping you in so many ways. Slowly build up so that you can appreciate every part of your body. You appreciate your toes for providing you balance, and your feet for supporting your body weight each step of every day. You appreciate your ankles, calves, knees, thighs, and hips for their strength, support, and flexibility as you move about—walking, sitting, standing. You appreciate your abs, waist, and core for supporting you while you bend and reach. You appreciate your chest as it expands with lungfuls of life-giving air. You appreciate your back, shoulders, and arms as you lift and carry everything from a sock to groceries, and for the ability to hug and embrace. You appreciate your neck for supporting your head, and your mouth, throat, and tongue for enabling you to tell your partner you love them. You appreciate your eyes for helping you see the world and for how they reflect your spirit. You appreciate your brain for enabling you to think, and your body to function. When you get to the point where you can appreciate each and every part of your body—even those parts that you typically judge as “gross” or that aren’t working as well as you would like—then you will know you have mastered loving your body. It will then be easy to look in the mirror and say, “I love you”—and mean it. 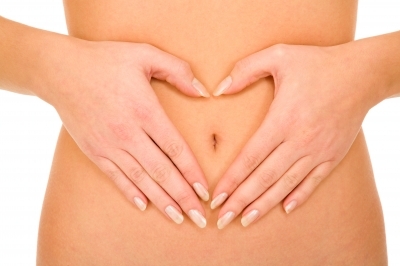 Did you notice that everything you were appreciating was about what your body gives to you? It wasn’t about how good you look in a pair of jeans, or how another might judge you. It was about functioning with wellness and well-being. It was about acknowledging the gifts that your body is giving you every moment of every day. What difference do you think loving your body from head to toe makes in how you treat yourself—and others? How much easier might it be to get up and go for a walk or reach for an apple instead of a cookie? How much more physical and emotional energy might you have? How does letting go of body shame help you move towards the life of your dreams? This entry was posted in Appreciation, Law of Attraction, MindBodySpirt and tagged Anabolic, Appreciate, Appreciation, Body, body shame, Dreams, Energy, Feelings, Happy, Health, Healthy, healthy-living, Inspiration, Law of Attraction, Love, mental-health, Mind Body Spirit, Positive Thoughts, thoughts and words, vigor, well-being, wellness, youth by Goss Coaching. Bookmark the permalink. agree with your point! it boils down with being positive! Thanks very much! Appreciate you! Thank you! So appreciate you and your blog! Thanks for the comment. Here is the contradictory me: I was a personal trainer (as you know) for 5-6 years – I loved it – I was good at it – I’d do it now if I weren’t a novelist. I eat healthfully; I love to exercise. I am pretty durn fit for a 55 year old. But, if I am not careful, the old demons come back and my old eating disorder plays with my head. All kinds of gremlins stomping around in there. I’ve blogged about it – like “when did food become the enemy” kinds of blogs. It’s a weird thing, to be so mindful of what is healthy behavior, yet to have your brain full of boogymen. Regularly and consistently practicing gratitude and appreciation is just one process (albeit a powerful one) to address that Gremlin–the inner critic that tells you that you aren’t good enough and that believes you are less than you really are. But it is just one way. There is a whole lot of work that happens when working with a coach to take control of the negative messages you are giving yourself. If your boogymen has resulted in an eating disorder, then that takes it to another level that may require working with a therapist to provide healing rather than just focusing on redirecting your future thoughts. Taking control of your thoughts and transforming the Gremlin takes just as much consistency and dedication as lifting weights and working out. It is actually a very similar process. And just as with working out, if you stop exercising for any length of time, your body backtracks. Same with the mind. So it actually makes sense that you can be so mindful of healthy behavior and still backtrack. But when consistently working at it, you can feel your mind getting stronger, just as you feel your muscles getting stronger. And just as you might encourage someone who wanted to get into physical shape to work with a personal trainer, I would encourage you to seek a trainer for your mind (therapist or coach–whatever feels right to you) to help you get out from under your boogymen. You deserve to feel awesome about yourself–body, mind, spirit. Yeah, have been thinking about that a lot. Near 40 years is a long time to obsess over food and body image – lawd! You’ve got a great blog. I enjoy all your posts. Thank you! I enjoy your blog, too! Appreciate your commenting! You are very welcome and it is well deserved!! Congrats!